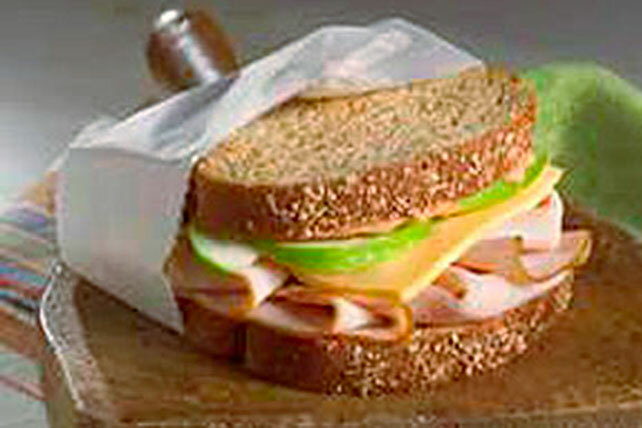 Crisp apple slices lend a touch of sweetness and bring out the smoky flavor of the meat in this tasty turkey sandwich. Mix dressings; spread onto 1 bread slice. Fill bread slices with remaining ingredients. Prepare using KRAFT 2% Milk Sharp Cheddar Singles.